As we start to celebrate the lasting progress in tackling poverty around the world for the International Day for the Eradication of Poverty (17 October), we are bringing attention to children, who have been so often missed from poverty debates. The world has been extraordinarily successful in tackling extreme poverty. Between 1990 and 2012, the proportion of people living in extreme poverty has been more than halved, achieving the first Millennium Development Goal. If we follow this trend, analysts say we could eradicate extreme poverty by 2030. 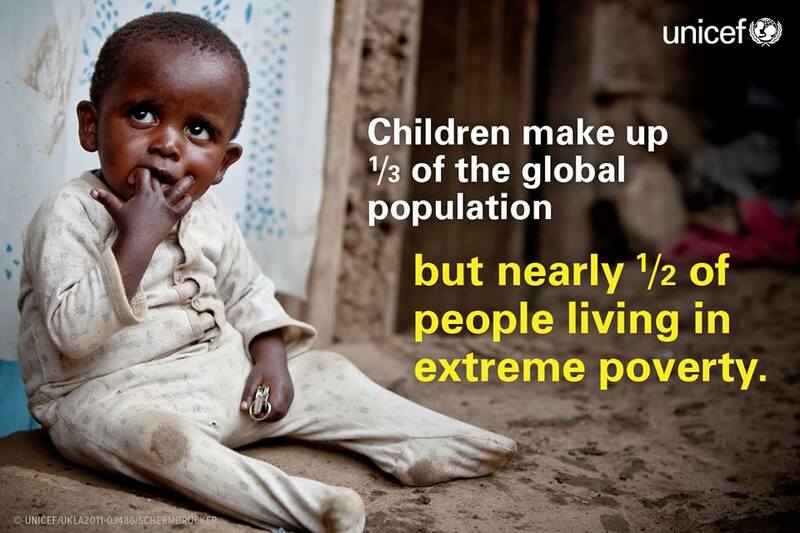 And yet over 900 million people – or 1 in 7 people – are still living in extreme poverty. Many are kids. The latest data tells us that 47 percent of those living in extreme poverty are 18 years old or younger. If we want to end poverty one day, we need to focus on them. Child poverty is about more than just money – it’s multidimensional. For children, poverty means being deprived in crucial aspects of their lives such as nutrition, health, water, education or shelter. 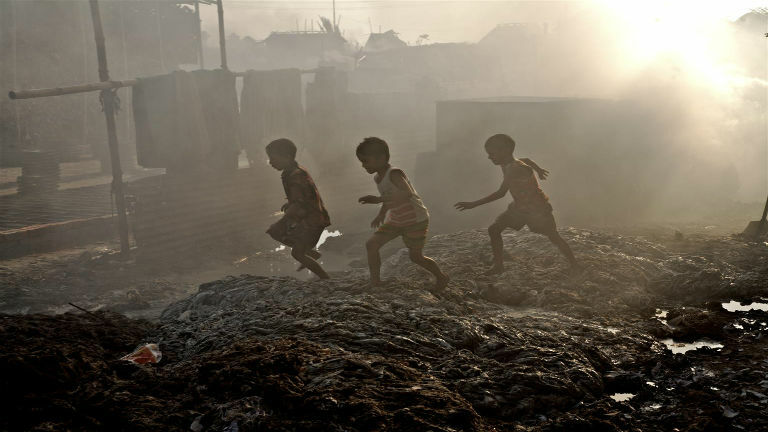 UNICEF estimates that 2 in 3 children across 30 sub-Saharan countries suffer from two or more of these deprivations. Children are affected by poverty in rich countries too. Today, there are 26 million children at risk of poverty or social exclusion in the EU. And the ‘great recession’ has plunged an increasing number of children into relative poverty across the world’s most developed countries, revealing that child poverty is a universal challenge that requires a global response. Whether using the extreme poverty line, or the Multidimensional Poverty Index, data tells us children are more likely to live in poverty than other groups. Ending child poverty is a challenge in many countries around the world and one of the world’s most urgent tasks. Data is the basis for ending child poverty. Our analysis tells us that only around half of all countries have data on child poverty, and this is often infrequently produced and reported. We now have a unique opportunity to change this as we start to monitor the newly agreed SDGs. Social protection programmes have demonstrated long-lasting benefits for many families and children living in poverty, yet only one-third of the world’s poor are covered. To end child poverty, we must ensure children are protected from risks and vulnerability and have better access to the services they need. We now have a huge opportunity to change these facts, and support efforts to end child poverty as part of the new Sustainable Development Goals. The Global Goals have taken us a significant step forward by including children within the poverty targets for the very first time. But to achieve this goal we must also remember those who are still left behind, including the many children around the world that live in poverty. Learn more about the faces of child poverty and how can countries better measure child poverty (PDF) as part of the SDGs. UNICEF will be among those within the development community, working with a coalition of partners, focusing on ending child poverty as part of the SDGs. See our join statement, Towards the End of Child Poverty. Happy 25th birthday, to the Convention on the Rights of the Child.